Strongly influenced by science-fiction masters like H.R. 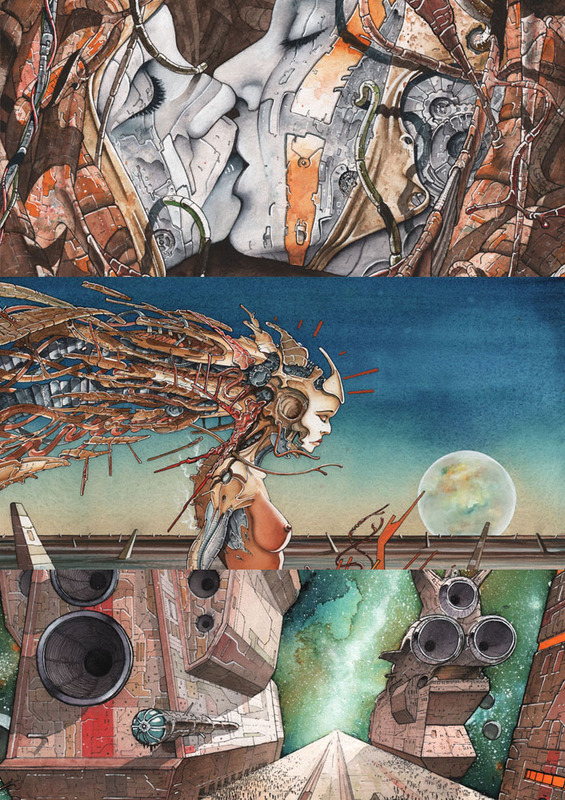 Giger, Moebius, Bilal and many more, Simon Lejeune aka Haedre deals with anticipation of thematics like space travel, artificial intelligence, virtual realities and ultimately, the border of what it is to be human. Although his art focuses on the future and technology, he only use traditional techniques in drawing, a combination of watercolor and ink. Besides the retro look it gives to his creations, the physical experience of painting on paper is also a deliberate form of opposition against the current, technology induced, speeding up of time which has also penetrated the art world.